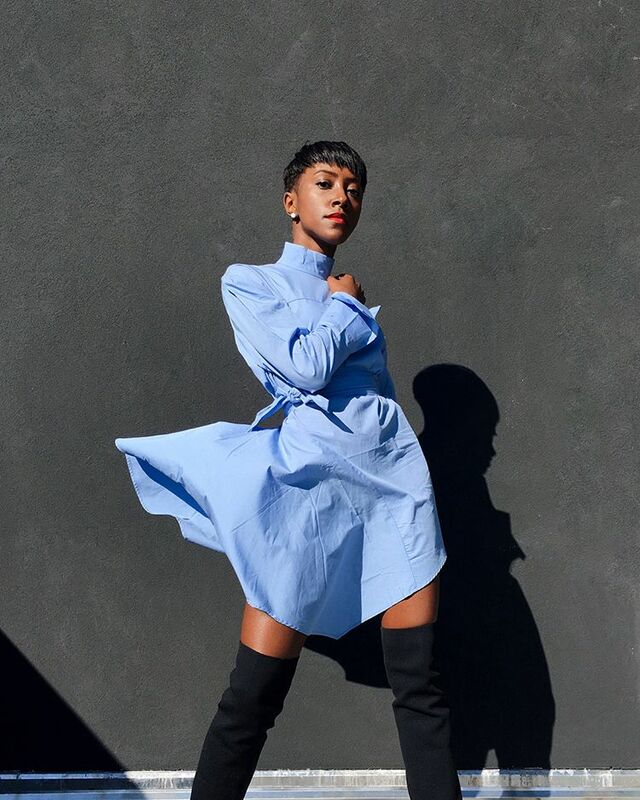 TOP 10 STYLISH DYNAMITES OF 2018 — EveryStylishGirl. Nevertheless, she persisted. This is the theme of Women’s History Month and EveryStylishGirl is showcasing 10 Stylish and Influential Women who embody this message. From fashion to the arts, women of color are displaying their unwavering dedication to empowering women of their industries. This month and every month, ESG will continue to honor the women who have paved the way and will pave the way for other women. 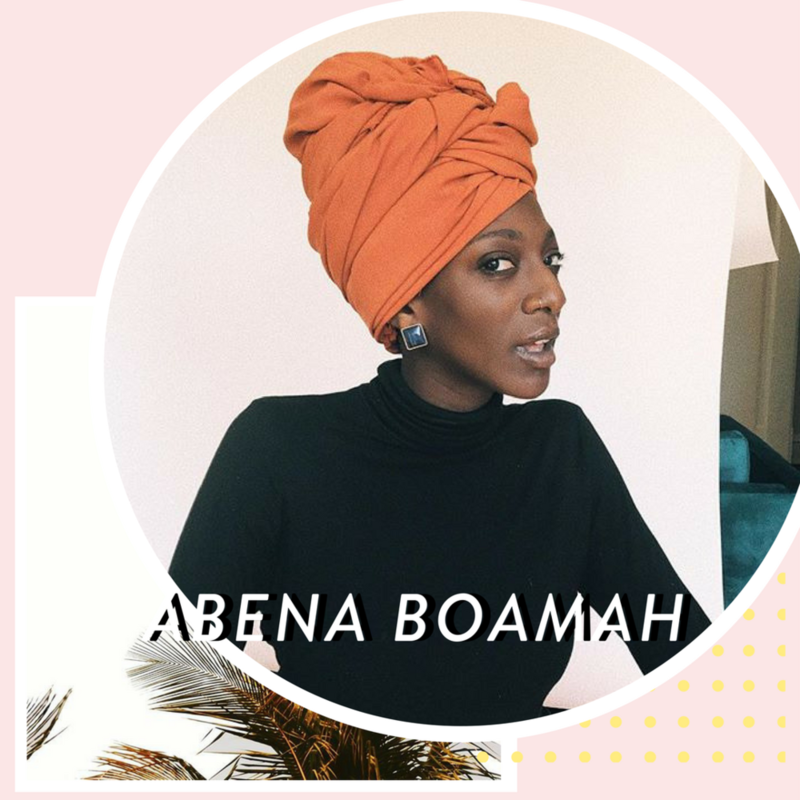 Meet Abena Boamah, creator of Hanahana Beauty-- A 100% natural skin care brand that highlights the importance of being “smooth and confident.” All the while being an owner of a growing skin care brand, Boamah is currently studying to receive her Masters in counseling psychology. She values sisterhood, self-care and self-education all of which makes her so unique within the beauty industry. She started Hanahana Beauty by making skin care products for herself, which created such deep attachment for her work. 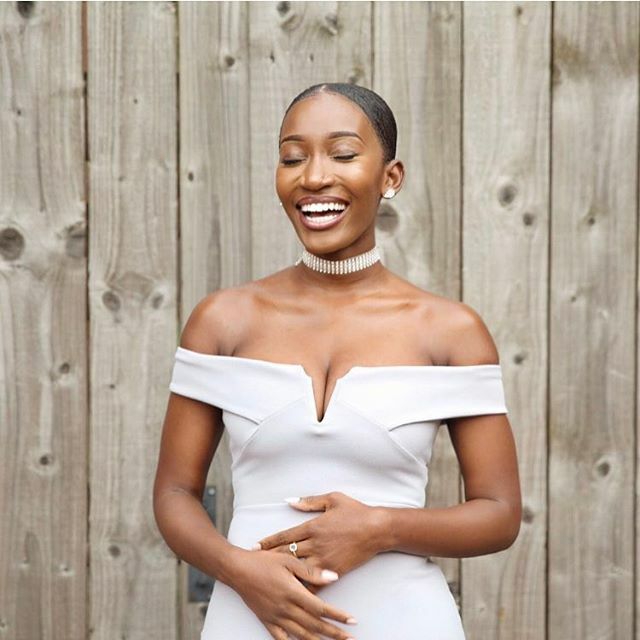 When working on her brand she is constantly thinking about women of color -- “We are growing because the women behind the brand are black women and black women are powerful.” Although Boamah has great passion and love for her brand, she notes that the most challenging aspect is trying to attain financial resources and getting capital for her business. Boamah says, “You should expect people to be intrigued by you” is by far the best piece of advice she’s received. She has learned that it should be normal for Black women to be intriguing and more importantly, to be intrigued by yourself. Boamah’s next steps are finishing up graduate school and working on expanding Hanahana Beauty globally! Hanahana Beauty celebrated their one-year anniversary on March 12th. 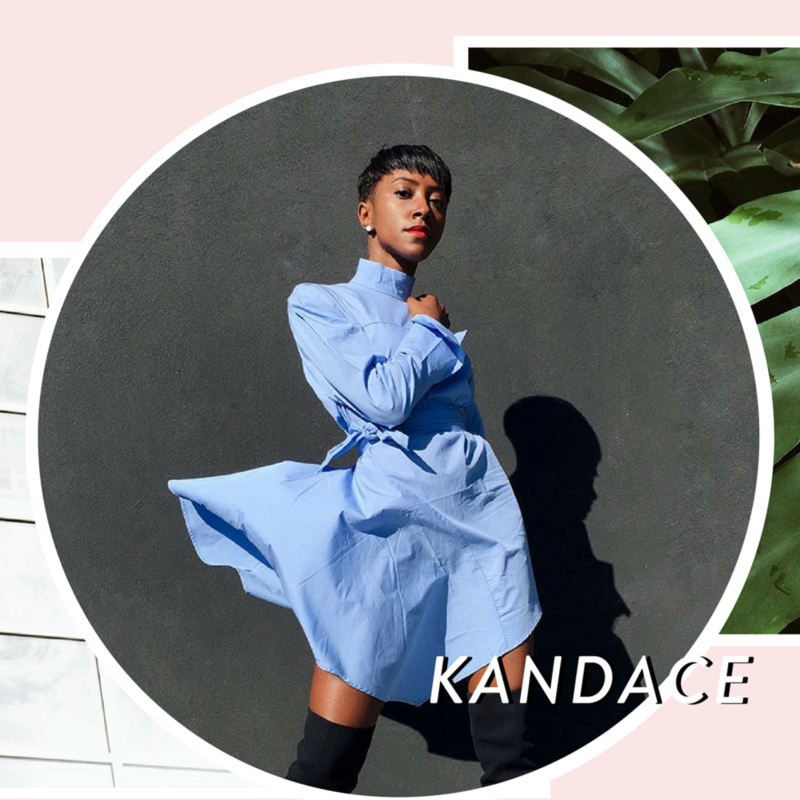 Meet Kandace Banks, a woman who believes in staying true to her brand, which is known to be “Classically Feminine.” In the fashion industry, Banks finds that the lack of representation for black women in power is the cause of her work going unnoticed. Banks has encountered several instances where her opinions on styles and looks have not been taken into consideration due to her position as one of the few black women in the space. She also brought attention to how white culture has a tendency to try and use black women to expand their variety just because it’s a trendy thing to do right now and not out of the genuineness in their heart. Amidst some of the difficulties that Banks has faced in the industry, she believes what sets her apart from the rest is her ability to remain true to both her audience and to herself. The best advice that she has received is, “If you can see it and you can imagine it then you can do it.” Manifestation is a common theme that you will learn throughout Banks journey. New York based lifestyle blogger of Darling Tee, social media strategist, and fashion PR associate, Tania Cascilla, isn’t new to success, but she’s not blind to the challenges of being a woman of color in an industry that hasn’t always been so inviting. “Brands, they don’t see us as being marketable.” says Cascilla, but she remains optimistic. From Anok Yai to Adut Akech, New York Fashion Week is opening up and the fashion industry is changing as of late. Many changes are occurring as designers are including more women of color. The industry, however, has some bright and motivated women working for the inclusion of all kinds of women. Rayya Ansari is a fashion influencer who is based in New York. She dresses modestly because of her religion. She grew up with a very great support system within her community. Her mother designs clothing which she and her sister wear. Ansari has not compromised her values, wearing her hijab with pride and believing in the idea that modesty and fashion work together. So many times, people have this idea that fashion needs to be lingerie. There is nothing wrong with that, however there is also nothing wrong with modesty in the industry. Ansari is the fashionista modest icon, similar to IMG Model Halima Aden, who is rocking the runway in her hijab as well. Ansari has emphasized that "representation matters." She wants to pave the way for black Muslim women. She states she used to be discouraged but “Now, instead of being discouraged I’m working on breaking down those barriers.” She plans own starting her own fashion blog for Muslim women and women of color. We know Ansari will be so successful, and we are so happy to see her grow! Mother, stylist and shop owner of Subrina Heyink Vintage, Subrina Heyink took a leap of faith and started her own shop dedicated to vintage finds. 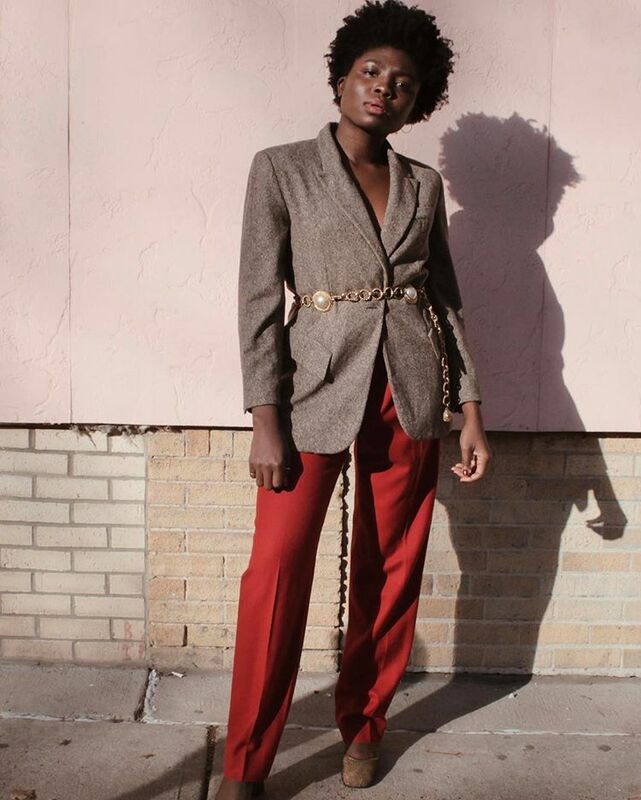 This Kansas City native fell in love with the process of collecting vintage pieces for herself and began gathering clothes and jewelry that did not quite fit her or her personal style. This vintage shop is much more than an online transaction. She hopes to create a community of diverse individuals who can represent her items in an interesting and fun way. As a black woman, Heyink sees an underlying responsibility to lead by example and she is doing just that by reminding women to never compromise. “As opportunities come my way, I'm thinking of the next black girl behind me because I want this to be better for the next person in my position,” she said. Subrina Heyink Vintage opened only a year ago but has garnered the attention of Refinery 29 and other fashion sites. Aside from her work on the shop, Subrina has taken notice of her growth over the past year and is putting it into fashion research with hopes of expanding her taste to help your personal taste. She is currently working on a wedding collection set to launch in the near future. It’s safe to say that Subrina Heyink wears many hats and they are all vintage. However, her success was no stranger to challenges, “In design, you don’t see a lot of people of color, especially women of color, so we don’t have a lot of visibility in the field.” Jordan plans to combat this obstacle using one simple method: sharing. “There’s a lot of us from tech to entertainment. 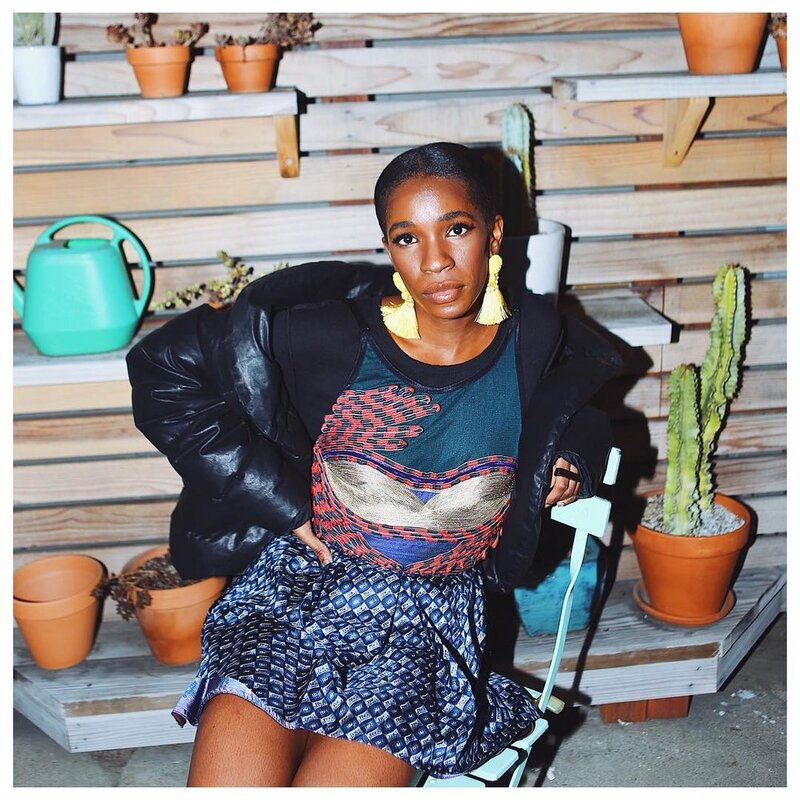 Creating content and product geared towards people of color and sharing it is one of my main goals.” Jordan also hopes to revamp her podcast with a focus that targets millennial creatives of color and create more pins and product. You can check out Jordan’s website not only view her portfolio, but to shop her exclusive pin line on sale now. We’ve fallen victim to Owusuism and after seeing this artwork you will too. Sarah Owusu is a self-taught contemporary artist from Ghana, who creates daring and vibrant paintings with just the strokes of a brush. She developed a particular style of art that she calls ‘Owusuism.’ Owusu represents Ghanaian women all the way from London as she designs original artwork that embody the true meaning of Sarah’s surname ‘Owusu:’ strong-willed and determined. The people of Africa who receive five years of free drinking water every time a water bottle from Give Me Tap is purchased, feel just that. Owusu collaborated with Give Me Tap to celebrate their five-year anniversary, Black History Month 2018 and more importantly, the beauty of giving back to their roots. Naomi Campbell, Sade and Thomas Sankara are just some of the iconic figures that Owusu has painted. Her work goes beyond that of traditional canvases, Sarah has sprinkled a dash of Owusuism onto the backs of her customers with custom jacket designs. “I plan to continue painting and refining my craft so I can continue to inspire young girls and women who look like me to pick up the paint brush,” she said. Sarah Owusu is looking forward to continuing what she loves doing every single day with more artwork and brand collaborations in the future. Imagine being so visually talented that you are named an expert in color theory among other things. This is a reality for Monica Ahanonu, an expert in Color Theory, Vector Illustration and Motion Design. She currently resides in Los Angeles but was born in Tucson, Arizona. She was a very competitive gymnast until an injury came along and forced her to stop. Ahanonu has always been a determined woman, so she decided to continue her gymnastics passions through making animations. She developed a new passion in arts and illustration. Now Ahanonu is creating brilliant works of art surrounding a wide range of topics from politics to fashion and everything in between. Her work includes Barack Obama and Black Lives Matter. She is very accomplished and well-known in the industry. Ahanonu has even worked at DreamWorks with Disney. She has gained an audience that is in awe of her beautiful, colorful illustrations and complex and geometrical animations. Ahanonu is already doing jaw-dropping and inspiring work and plans to continue this work as a freelancer. “You will see it in the way that I dress, as it is another area that my love of color spills into and allows me to play," says the stylish boss. She is looking to start a business and sell merchandise with her designs. We cannot wait to see how Monica Ahanonu continues to thrive. Crowned in grace and adorned in armor, Tarah-Lynn Saint-Elien was named Miss Black New Jersey 2018. 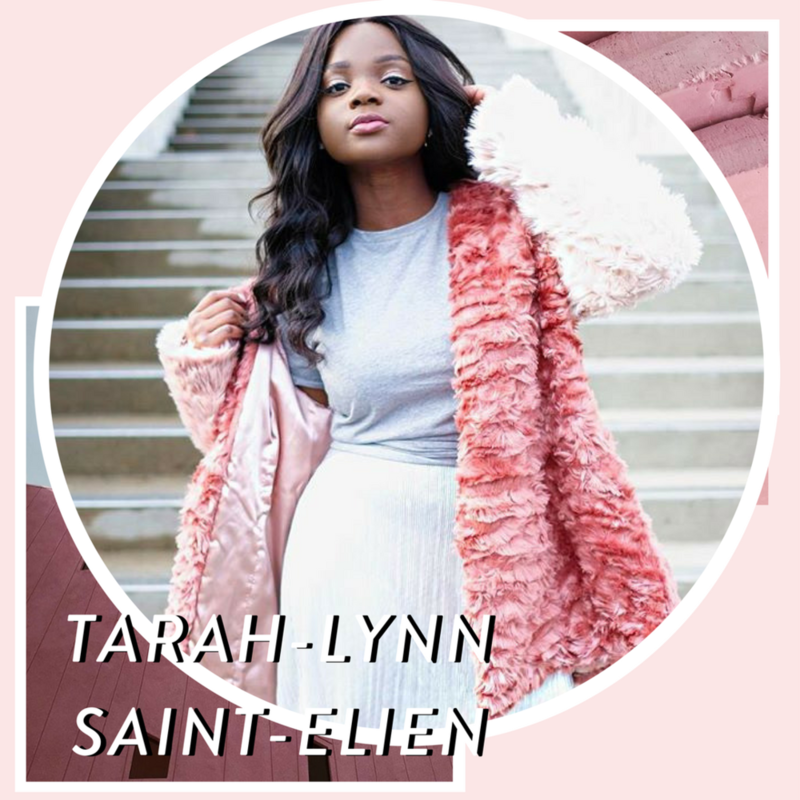 Saint-Elien has made it her duty to be a voice for women of color on and off the pageant stage, as a youtuber, blogger and Teen Vogue writer. Her blog, Adorned in Armor, gives her the platform necessary to represent black women across all industries. As a Haitian-American, Saint-Elien wants to represent Haitian girls and share their stories. She is doing just that by sharing an article this month and a vlog about her personal trip to Haiti on behalf of Teen Vogue this past January. “I truly believe that it is my purpose and honestly every woman’s purpose to be sharing one another’s stories,” she said. If you think that Tarah-Lynn has covered all the bases, she's just beginning to scratch the surface. Tarah-Lynn is hoping to upgrade to an even bigger crown and another sash in August as she fights for the Miss Black USA 2018 title. Fashion is not just clothing on a rack or a runway, it's our second skin. Anaa Saber, a New York City based athleisure columnist for Who What Wear, full-time editor at the TOBE Report and founder of Our Second Skin, is reminding women that the clothes on our backs are more than sewn fabrics. As a Pakistani-American, Anaa created Our Second Skin to establish a platform for women of color and to erase the stigma attached to South Asian women in the fashion industry. “The whole reason I went into fashion because there wasn’t anyone that I knew of that was South Asian or Pakistani working in fashion,” she said. “I wanted to be the voice, I wanted to be the change and I use my platform for that change.” Who What Wear named Anaa Saber their 2016 rising star and she has epitomized the title ever since. Features including Urban Outfitters, Barney’s New York and The Cut, Anaa Saber is truly on the rise. This blogger will leave you wondering where she got her dope kicks and how she got her skin so clear. You can catch Anaa Saber stuntin’ on the gram in vintage pieces that we all dream of finding in our local thrift stores. Keep your eyes peeled, Our Second Skin has plenty in store for the near future with a new website launch and a few projects that have yet to be revealed.